However Improbable: "Your mom's name was Sarah. You used to wear newspapers in your shoes." "So, just like that we're supposed to be good?" "Your mom's name was Sarah. You used to wear newspapers in your shoes." "So, just like that we're supposed to be good?" Wherein a fur ball invaded Jack's flat. The fur ball is very likely a girl, but just in case she has a name which can belong to a boy or a girl. I don't trust myself with animal genders and didn't want her to be scarred for life if she turns out to be a he and had a name like Susan. Why did I get a fur ball? I don't know. 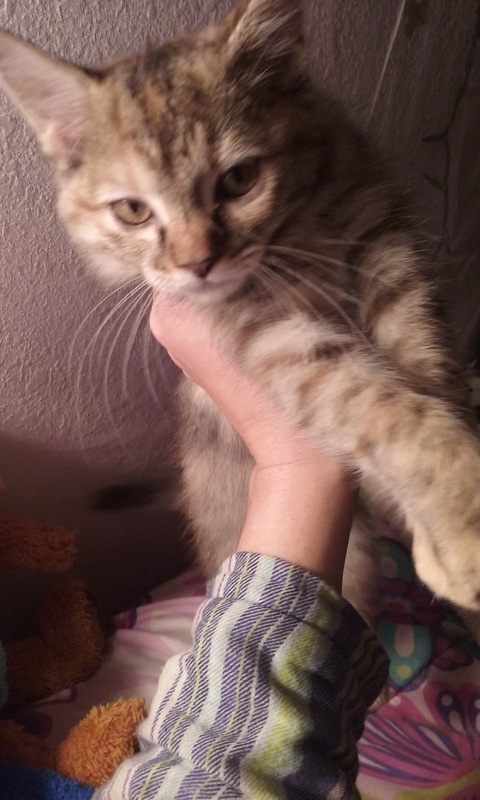 I love pets, I saw a picture of her, and obviously thought I needed a little ball of wild energy to run across my key board and attack my hair. So....may I present to you, Nat. She didn't want her picture taken. She wanted to climb in my hair and whine about how I had left her home all day with Dog. It is easier to get pictures when she is asleep. The little invader who is about the size of my hand but has enough personality for an elephant. She and Dog think they are enemies but I can tell they are warming up to each other. (Nat is short for Natasha. At least for right now. If she is in fact a he it will be short for Nathaniel.) 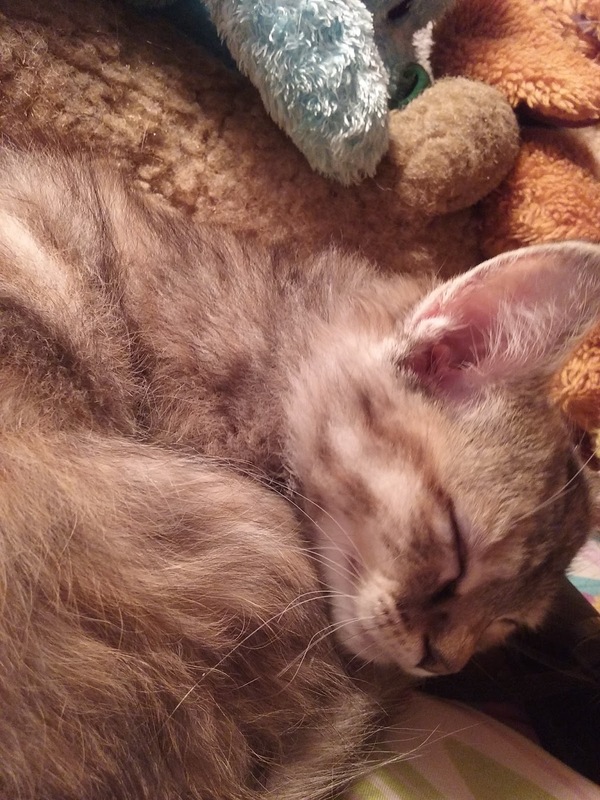 Did I possibly name her after a tiny Russian assassin? Yes. Why you might ask? Come visit me and you will see. Even if she is a Nathaniel, the tiny assassin thing fits. Today I am over at Jaye's blog, HERE!!!!!!!!!! And I am spotlighting the one character I've ever written who I cannot stand in any way or form. And the song. I have two, because I feel like they have to go together. Nat is really cute. She'll keep you company. As soon as I saw her name, I was like Black Widow. That cat is SO adorable! Wow.